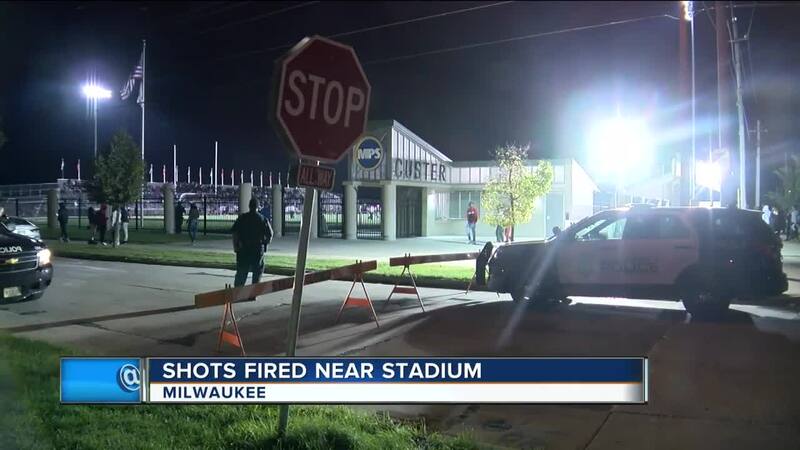 Gunshots were fired near a Milwaukee high school that was in the middle of a football game. Authorities said shots were fired across from Custer Stadium Thursday night. Riverside University High School was playing Rufus King at the time. Staff immediately secured the stadium. Police were also already on scene. The gunshots occurred right before halftime of the football game. The game has since resumed and authorities say the area is back to normal.